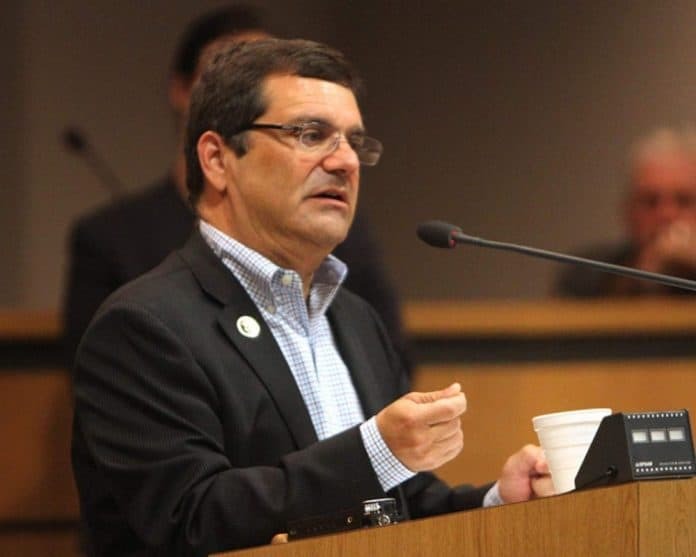 From his perch as vice chairman of the U.S. House Foreign Affairs Committee, U.S. Rep. Gus Bilirakis, R-Fla,, unveiled his “Protection for Veterans Burn Pit Exposure Act” and showcased the bill at an event in Tarpon Springs on Wednesday. Bilirakis insists Operation Enduring Freedom and Operation Iraqi Freedom veterans exposed to toxic chemicals from burn pits are being denied medical care and are now dealing with various illnesses, several of them fatal. His bill would allow veterans exposed to burn pits access to medical treatment. More than 140,000 veterans and members of the Armed Forces are believe to have been exposed to burn pits. The bill also creates a 15 man Open Burn Pit Advisory Commission to gather information about the impact of burn pits. So far, Bilirakis has reeled in U.S. Rep. Raul Ruiz, D-Calif, U.S. Rep. Peter Welch, D-Vt., and U.S. Rep. David Young, R-Iowa, to cosponsor the bill. Bilirakis weighed in this week on the proposal. As part of the Department of Defense (DOD) allocations earlier this summer, Bilirakis and Welch were able to bring in an amendment including $1 million “to improve interagency coordination between the DOD and the VA as both agencies study the effects of toxic exposure to burn pits.